WE, the undersigned citizens and leaders of civil society organizations of the Caribbean CALL upon our Governments and their multi-lateral organization– the Caribbean Community (CARICOM) — to take urgent steps to make it absolutely clear to the Government of the United States of America (USA) that the nations and people of the Caribbean consider Venezuela to be an integral sister nation of our Caribbean Civilization, and that we denounce and repudiate all attempts at illegal neo-imperialist interference in the internal affairs of Venezuela, including attempts to unlawfully attack, subvert and remove the democratically elected Government of President Nicolas Maduro and his United Socialist Party. 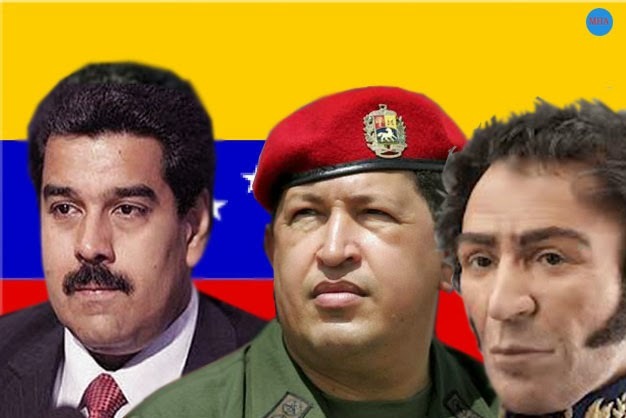 We make this CALL against the background of the impending 6th of December 2015 Parliamentary Elections of Venezuela and the clear evidence that has emerged of a permanent illicit conspiracy between the political establishment of the USA, elements of the traditional wealthy elite sector of Venezuelan society, and the right-wing political Opposition forces of Venezuela. This CALL is also based on our understanding that the Bolivarian Republic of Venezuela has emerged as an outstanding symbol of hope — perhaps the pre-eminent symbol of hope — for masses of people all over the world who suffer the exploitation, poverty, insecurity and indignity that is caused by national and international elites appropriating the resources and wealth that rightfully belong to the people, and who yearn for an alternative existence characterized by peace, humanity, freedom, national sovereignty, dignity, solidarity, brotherhood and human well-being. We are aware that Venezuela’s still unfolding Bolivarian Revolution has demonstrated to the world that it is possible for a determined people blessed with committed and patriotic leaders to rise up and assert themselves; to take control of their national resources; to use the nation’s resources for the development of the people of the nation; and to extend their arms in a spirit of brotherhood and sharing to other nations and peoples. The Bolivarian Revolution — under the leadership of the late Hugo Chavez and current President Nicolas Maduro — for the first time in Venezuela’s history EFFECTIVELY nationalized the Petroleum industry and directed the bulk of the country’s enormous natural resources to developing programmes in public health, education, housing and food security, thereby radically lowering the poverty rate, eradicating illiteracy, and elevating virtually all human development indicators in Venezuela. Furthermore, the Bolivarian Government of Venezuela led the campaign to defeat the USA’s neo-imperialist “Free Trade Area Of The Americas” and to establish in its stead the “prosper-thy-neighbor” Bolivarian Alliance For Latin America and the Caribbean (ALBA), the Petro Caribe Energy Cooperation Agreement, the Community of Latin American and Caribbean States (CELAC), the Africa-South America Summit, the International Bank of the South (Banco del Sur), and the Television Network of the South (Telesur), among many other initiatives. These and other similar initiatives have — among other things — strengthened the spirit of cooperation between Venezuela and the rest of the Caribbean, thereby creating an environment which has equipped our Caribbean region to be able to resolve tensions which occasionally arise as a result of historically contested issues such as the border issue between Venezuela and Guyana, and to strive towards the fostering of a Caribbean zone of peace. But we are only too aware that none of these historic achievements have gone uncontested by those forces that wish a return to the bad old days of US multi-nationals and a wealthy Venezuelan elite controlling and gorging themselves on the country’s precious petroleum resources!!! The Bolivarian Government and people of Venezuela have had to contend with a broad and open conspiracy involving the State Department of the US Government, the Central Intelligence Agency (CIA), USAID, the National Endowment for Democracy (NED), the Inter-American Press Association (IAPA) and its powerful Latin American right-wing media conglomerates, and the Venezuelan elite and their “Opposition” political forces led by the likes of Leopoldo Lopez, Corina Machado and Antonio Ledezma. This ongoing and implacable conspiracy against the Bolivarian Revolution has been manifested in such abominable acts as the 2001 sabotage of the petroleum industry of Venezuela; the 2002 unsuccessful coup against then President Hugo Chavez; a 15 year campaign to engineer commodity shortages in Venezuela; the permanent propaganda war waged by the right-wing media; the 2014 La Salida (The Exit) campaign of orchestrated violent street protests; President Obama officially declaring Venezuela to be a threat to the national security of the USA; the 2015 Operation Jericho attempt at a violent military coup against President Maduro; and the list goes on and on. It is against this background that WE — citizens and leaders of civil society organizations of the Caribbean — are saying that enough is enough! This criminal imperialist subversion of our sister Caribbean nation of Venezuela must come to an end now! The Media War on Venezuela – Is another Coup Attempt in the Making? Why Does Latin America Reject US Belligerence toward Venezuela? This entry was posted in Home, International and tagged Caribbean, Imperialism, Solidarity, USA, Venezuela by Russell. Bookmark the permalink. I am in complete solidarity with the Venezuelan people. I disagree with the efforts of the National Endowment For Democracy to undermine Venezuelan leadership that is concerned with strengthening its public sector. I also think the Venezuelan government should make a stronger effort to be completely independent on the technology that the oil companies introduced to the country. Of course they are using their technology as leverage to undermine Maduro. Therefore it is up to Maduro and his administration to develop more technology that does not depend on petroleum but on corn ethanol as some parts of Costa Rica and Brazil has already done. -RF.